The Winter 2009 anime season is coming to a close, which means it’s time for me to write some end-of-series reviews for the shows that I watched but didn’t blog on a per-episode basis. One of these series is Casshern Sins, which I picked up half way through its run. I was intrigued by the promise of robot combat and the unique art style that I saw in some screen shots. 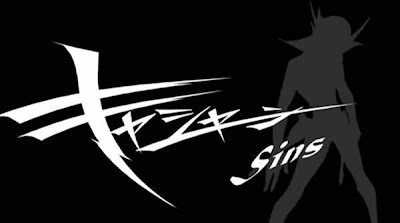 Casshern Sins turned out to be a decent series overall and here is my short review of the series. Casshern Sins, produced by Tatsunoko Productions and animated by Madhouse, is a remake of the classic anime series Neo-Human Casshern, but the story of Casshern Sins is completely different than that of the Neo-Human Casshern. In this incarnation, Casshern is one of three cyborg warriors built by the robotic overlord Braiking Boss and is ordered to assassinate Luna, who is the savior of humanity. Casshern successfully kills Luna, but Luna’s death triggers a series of cataclysmic events that dooms the world for both humans and robots. Casshern, who has no memory of what happened or who he was, wanders through the desolate landscapes to seek the truth and his journey draws the interest of numerous characters, both friendly and hostile. Watching Casshern Sins, the first thing that instantly stands out is the art. Casshern Sins is without a doubt one of the most stylish anime series of the season. From the desolate rocky outcrops to the vibrant flowery fields, all the environments in the show are rendered beautifully and with plenty of imagination. Having a whole landscape made of blue stained glass or chalice-shaped rock formations might not make much sense, but they sure are gorgeous to look at. The character designs are also highly stylized by using bold and angular strokes to bring a retro yet pleasing look to the cast. Other than the gorgeous art, I also found the background music in Casshern Sins to be excellent. The music and the art together create an engaging atmosphere to draw in the viewers. Casshern Sins would have been a great series if all the other aspects were as good as the art or music, but sadly that is not the case. The main problem with Casshern Sins is with its pacing. The series started off as a travelling show where Casshern runs into different characters every week and those episodes were fine, but as we get to the middle of the series the story began to stall. At that point Casshern Sins has moved on from the travelling show format, but it hasn’t really moved on to main storyline either and it was hard to tell what the show was about. For example, the series had one episode where Dio fights some random robots which did nothing to advance the story, and the series also spent two episodes on Lyuze falling in love with Casshern when one episode would have sufficed. By the time the things actually got going, there were only five episodes left to resolve all the important issues, and this led to an ending that feels rushed and fails to answer many questions such as why the world crumbled after Luna’s death or why is Ringo so special. I think the studio purposely left certain things unexplained and up to the viewer’s interpretation, but there are a number of issues that should have been touched upon in the end but weren’t, and I believe the series could have provided the answers if it didn’t spend so much time going nowhere during the middle of the series. So in the end only part of the story of Casshern Sins came together due to the stall in the middle. In terms of other things to complain about, it would have been nice for the ending to touch upon some of the interesting characters Casshern came across in the first half instead of completely forgetting about them. The action sequences in Casshern Sins were also a bit inconsistent. The fight scenes feature a lot of sudden close-ups and freeze frames intermingled with short bursts of motion. The style works mostly when the animators put in enough details such as robot guts flying everywhere, but some of the fights were lack such details and were therefore a bit sloppy. Overall, Casshern Sins is a series that excelled in some areas but could use improvement in other areas. Even though I had more complaints than praise in my review, I enjoyed the series in general and I’m glad I picked it up. It is almost worth watching the series just for the artwork alone, and on top of that the show had good music plus decent characters and robot action. As a side note, there seems to be quite a few people who think Ringo is scary, but I think she’s alright. Despite the pacing issues and the rushed ending, Casshern Sins is still a decent series. If you like post-apocalyptic sci-fi, robot carnage, and/or just some stand-out artwork, then Casshern Sins should be right up your alley.